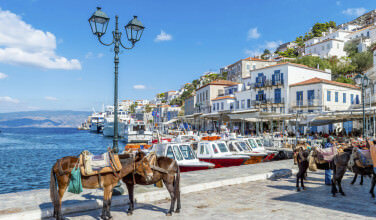 You can get to Mykonos Island via ferry and plane, both which run daily. 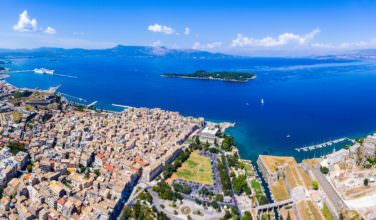 A flight from Athens to the island takes only 30 minutes. You can even take a cruise to Mykonos. To get to the beach from Mykonos town you can walk, take the bus, or hail a taxi. You can rent a quad or bike to get there if that’s more your pace. If you drive to the beach, you’ll have access to free parking. 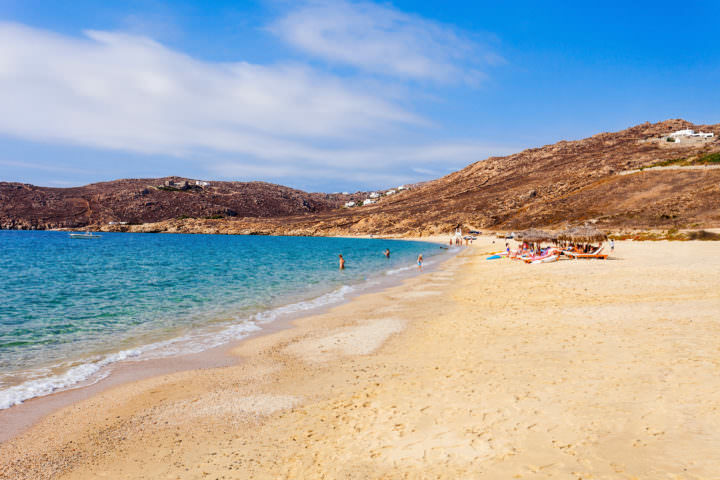 Agios Stefanos beach is located on Mykonos Island. The island is part of the Cyclades group in the Aegean Sea. Agios Stefanos beach is the closest one to the town and capital of Mykonos. There are taverns, restaurants, and even a mini-market close by. The rocks on this beach are white and the sand is soft and ideal for sandcastle making. The water is crystal clear and ideal for swimming. 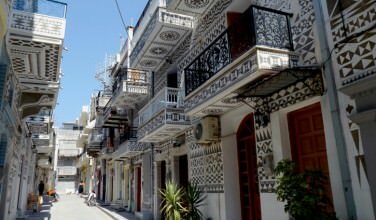 Not far from the beach itself you can visit Little Venice, the archaeological site of Delos, and the Old Port. 2.5 km from the beach you will find 180 Sunset Bar. It’s the perfect place to sip a cocktail and watch the sunset. The beach itself is also a wonderful place to take in the sunset if you prefer. The scenery is breathtaking day or night. The beach is well protected from the wind, making your stay there comfortable. During peak times there is a lifeguard on duty. If you decide to stay for more than a day, you have hotels to choose from. Agios Stefanos Beach is a family friendly beach that offers a variety of water sports such as windsurfing, snorkeling, and kayaking. Taking a kayaking tour will give you a unique view of the area. You will see bays and caves that might not be accessible otherwise. You can also rent a boat, go yachting, rib cruising, or sailing. If you’re just looking for a relaxing day, you can walk the beach, swim in the warm water, or you can rent sun beds and sunbathe. You can take a boat tour if you enjoy being on the water. This will give you a chance to see the beach and island from a different perspective. 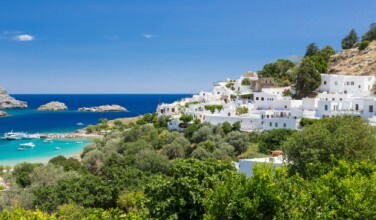 Agios Stefanos Beach is a wonderful choice if you’re visiting Mykonos town or surrounding areas on the island. You don’t want to miss the beauty, activities, and history the area has to offer. Whether you’re an adventurer or just looking for a laid back vacation, Agios Stefanos beach is the spot for you.